Our experiences come from lab to patient care, sponsors to CROs. What drives us is knowing that we’re at a unique point in history where mobile should become a primary tool in daily clinical trial operations. Letting technology get out of the way and place what’s needed right in the palm of our hand, close to the patient, and in real-time. Scan virtually any sample barcode format and requisition paperwork allowing transparency of collections bringing faster tracking, query resolution, and results to save countless hours of reconciliation and patient burden. StableTrack also provides sophisticated back-end support to ensure investigator sites collect specimens per protocol. These features include pre-designed visit schedules and collection instructions all available on the convenient iOS platform. Our philosophy is that mobile should be a primary tool in daily clinical trial operations. Not just a notch in the belt. Over the same decade that mobile technology matured, we advanced in both the clinical trial and mobile development fields. 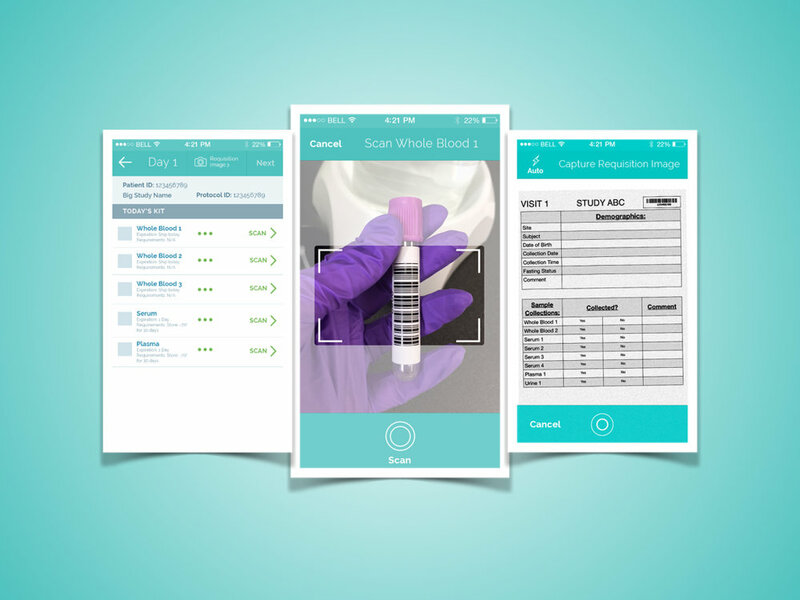 Using available tools on a secure mobile platform, we enhance clinical trial operations from site reimbursement to specimen tracking. Expand your service portfolio into mobile to offer more for your clients and patients! Let's build something awesome for your patients!